Hello we met again. 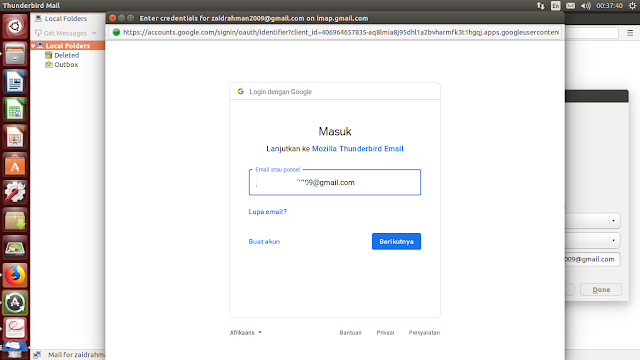 Today I will show you to setting email from Gmail to Thunderbird Mail. 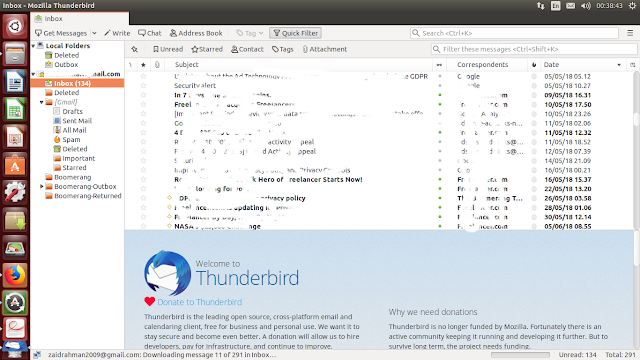 I think there are view people know about Thunderbird Thunderbird Mail. 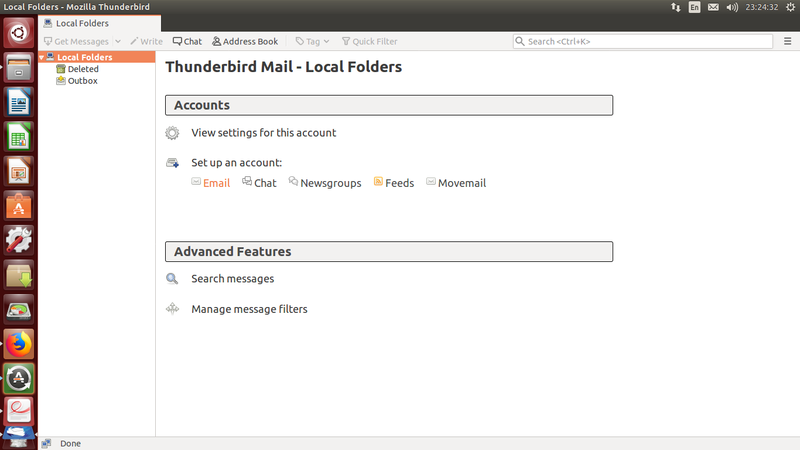 Thunderbird Mail is an email application that we can use with free license. This Application just like Microsoft outlook, But to use Microsoft outlook on our PC you must pay for it. Thunderbird Mail is also can update easily. With Thunderbird sending email become easy and more comfortable. And Why we should this this because you don't have much effort to open your gmail from browser. Just run Thunderbird Mail, and wait for processing to download or receiving email. 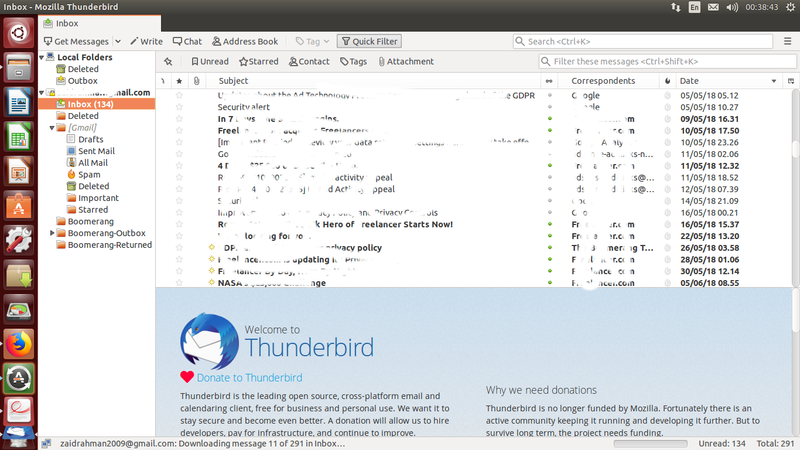 Basically for the first time Thunderbird Email use for opensource operating system like linux, but now it can be use for another. And if you usually used Microsoft outlook as your email application, there item that you must learn before you used it. Of course it may not take a long time to learn, because item on Thunderbird Email almost similiar with Microsoft Outlook. Ok, that enough for little story about Thunderbird Mail. 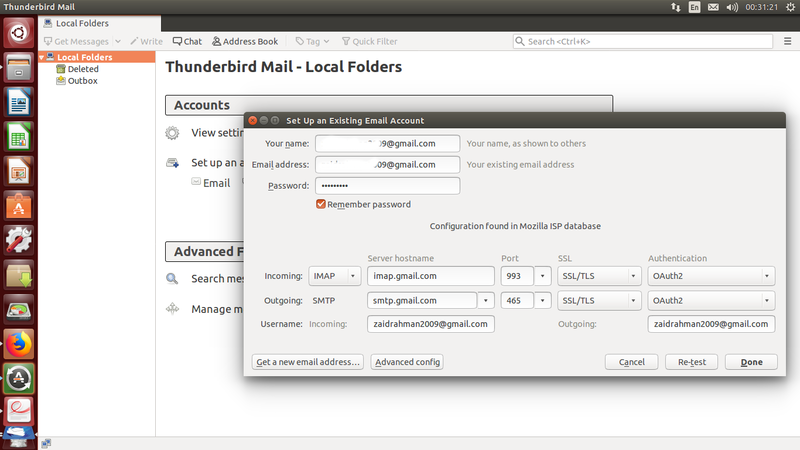 Now let's begin to set Gmail to Thunderbird Email. Make sure that you have Thunderbird Email on your computer. This software now support on almost browser in the world. If you don't have installed on your computer, just download from this link. After you install, try to run it. face of Thunderbird mail just like picture below. Then choose Setup IMAP (remote folders) and then click manual to check Port and other setting in the right position and also right value (see on point number 5 and 6). You cannot choose another IMAP because it has describe on gmail settings. After setting is finished then click on re-test button to know if that email is going right or may be error. Then press Done. After that you will be directed to page on browser to login on google account. After you have login to your account click allow button to the next process of Thunderbird email setting. and Automatically your inbox will receive email same with on Gmail. Now you can check your email just click Thunderbird Email icon. 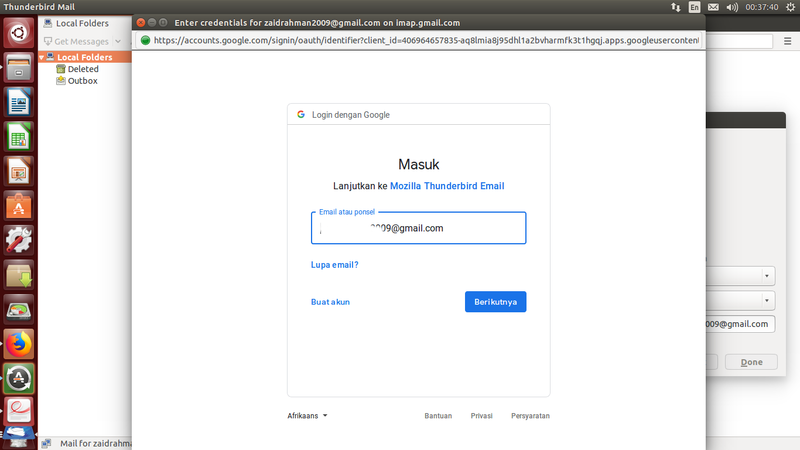 0 Response to "SETUP EMAIL THUNDERBIRD FOR GMAIL"